Devices developed, manufactured and brought to market aimed to surpass performance of products already available in healthcare at a lower cost. Innovative respiratory-related medical products offering a wealth of benefits to both patients and medical professionals. Improved clinical outcomes. Lower rate of healthcare-associated infections. A higher overall quality of life. 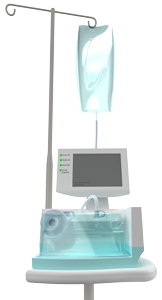 Mergenet Medical, Inc. has engaged TransWorld Business Advisors to assist in finding a partner/partners in conjunction with possible developmental opportunities with Mergenet Medical, Inc.
Family product line of non-invasive ventilatory support systems delivering warm humidified respiratory gases capable of delivering up to 100% oxygen to patients without requiring a face mask. An innovative airway secretion management system designed for use between an endotracheal or tracheostomy tube and a closed suction system. 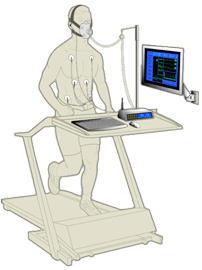 Computer-assisted pulmonary gas exchange system used in various clinical testing procedures to diagnose heart and lung diseases, assess heart failure, and function in related areas of cardiopulmonary diagnosis and management. Mergenet Solutions is an established American enterprise with global reach. From an executive home base in Coconut Creek, Florida, our senior management team offers a worldwide platform for selected affiliates to engage in profitable economic opportunities. By functioning as a full-service technology incubator, our organization identifies, assists and invests in new and emerging companies in several promising sectors. Firms at the core of our existing portfolio are involved in cutting-edge advances in technology and breakthrough medical solutions.